Why did Rama make Sita go through an AgniPariksha? This question has bothered more and more people in ‘recent’ times, women in particular because they feel abandoning a pregnant wife makes Shri Ram a bad husband, sure they do have a valid point and hence the article. But passing such grave judgments against any human let alone God cannot be without the totality of the Karta (Doer), Karm (Act) and Neeyat (Intention). The Karta here is Shri Ram, the Karm here is that he abandoned Mata Sita, Neeyat is the one we would explore below. To consider the totality before passing judgments is important because killing someone (Act) becomes valid when done by a soldier (Karta) because of his Neeyat (Intention) but if done by a terrorist (Karta) the same act becomes horrendous. 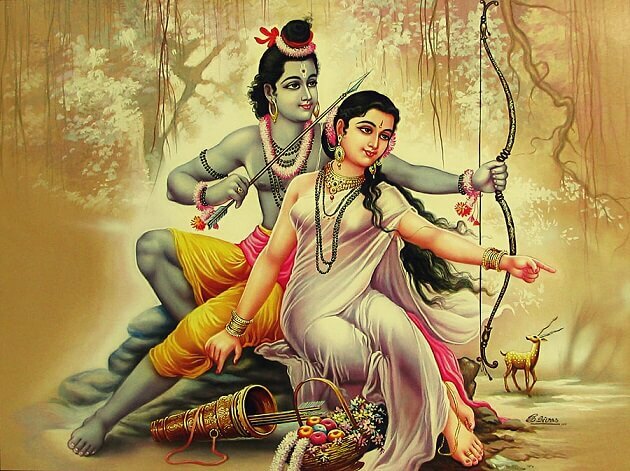 • Shri Ram suffered as much as Mata Sita after the separation if not more. It would have been very easy for him to marry someone else and lead a family life; instead he chose to keep his promise to not marry again. He chose to stay away from the love of his life and his children. The sacrifices of both are exemplary, the love and respect they showed for each other is unparalleled. How can a DHARMIC DACORIAN law having Religious sanctity be declared an ADHARM , without Sita getting Physically involved in it…………THINK..>>>>>THINK, then answer . 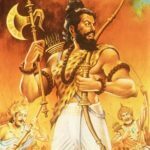 VALMIKI RAMAYAN contains lot of additions, alterations made subsequently and accepting the fact that Ramayan, Mahabharat, and all Puraans are also coded, the history that they contain, actually has to be culled out. RAMCHARITMANAS written by Goswami Tulsidas Ji, also followed the same pattern except that it ignored altogether, the incident of disownment of Sita. When Shri Ram took Avatar, all important events in which he was involved, as Human, would provide a Dharm. Agni Pariksha is one such event which Shri Ram established EITHER as DHARM or ADHARM…I WANT YOUR ANSWER ON THIS ISSUE. Hindus by and large are afraid to accept Shri Ram as human incarnation of Lord Vishnu. Once we accept Shri Ram as Avatar, who came on this earth for establishing Dharm, we then have to start looking at all important events in which he was involved differently and to find what the Dharm was, which HE tried to establish. Now the question is Why do you want to look for supernatural powers in history where NONE exists? 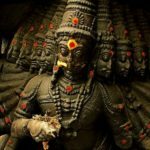 NOW the answer: GO and read full post after clicking on the link and you will know how Agnii Pariksha was declared as ADHARM. ‘King Ram REJECTED the results of Agni Pariksha and held that the only time when Sita was on her own, free to make her own decision, and under no duress, was when she was alone in Panchvati. Her decision to cross the Lakshman Rekha, without the use of any external force, can also be construed as her consent to go with Ravana. He also observed, that after his victory over Ravana, none of the action of Sita can be construed to be her own free decision and without any duress. He further said that it is true that, as a King, it is difficult to reject the result of Agni Pariksha, because it has religious sanctity, but he would like to go with People’s representative in as much that although Agni Pariksha required special skills, but those skills in no way certify the loyalty or chastity of the lady. He DISOWNED SITA AND TOLD HER TO GO WHERE EVER SHE DESIRED TO GO. Thanks for this wonderful information. And the blog is very informative. Thanks again for letting us know the another perspective.